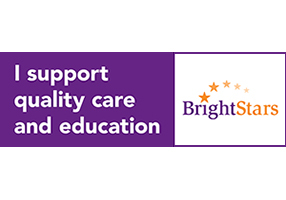 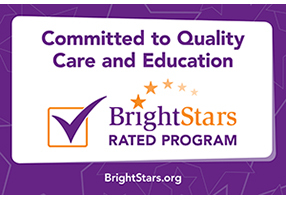 BrightStars congratulates you on a achieving a BrightStars rating. 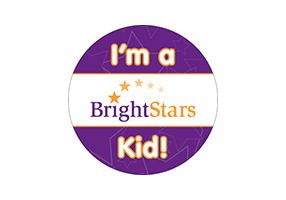 Marketing materials are available for all BrightStars rated programs. 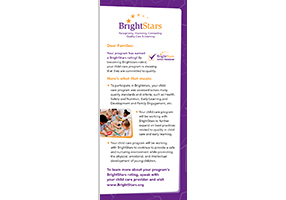 These materials have been created to help you promote your program’s participation in BrightStars and inform families of what your participation in BrightStars means. 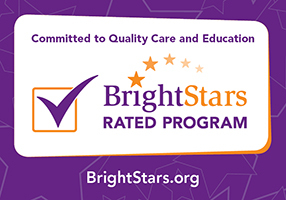 Contact your Quality Rating and Improvement Specialist to request an order form. 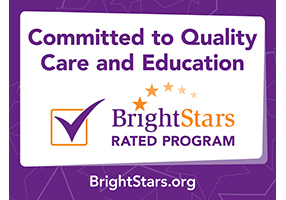 Click here for best practices and tips on how to best use these materials to promote your program.